Devshi won the Dealers Achievers Award from ZF as the best dealer in India. 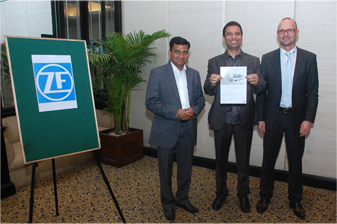 Our director, Mr. Jayesh Thaker received the award on behalf of entire Devshi team at ZF dealers and service partners meet in Delhi on 7th February. 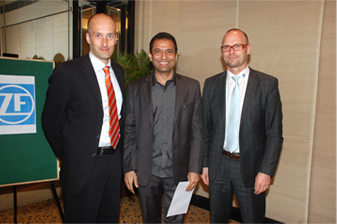 The function was attended by ZF dealers and service partners across India and Mr. Andreas Vierhuf, Head of International Marketing from ZF Germany, Mr. Markus Wittig, Marketing Head of ZF Asia Pacific, Singapore, and entire team of ZF India headed by Mr. Bernd Grasser, Head of ZF Services India and Mr. Vijay Khorgade DGM.